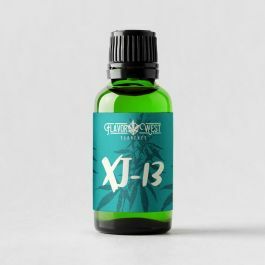 XJ-13 Terpenes- Sativa hybrid. Cross of Jack Herer and G13 Haze. Citrusy, pine, earthy. Cheerful, euphoric, energized, physical relaxation coupled with a clear head.